Date of issue: 23.10.14 Узнать о наличии версии 2015 года! The research contains 39 schedules, 38 diagrams, 20 tables. Russian market of plastic cards has become more available for customers during the recent years and the related bank services and offers are more versatile. If most of customers used that card before only for getting salary, now it is being perceived as convenient and reliable means of payment. According to the data as of January 1, 2014, more than 217 mln. plastic bank cards have been issued for the previous year. Active growth in card issuance surplus was observed in the period from 2009-2012, the growth by more than 13% towards the previous years has been fixed compared to 2012. 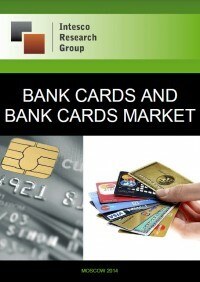 In recent years number and volume of operations with bank cards increased significantly. 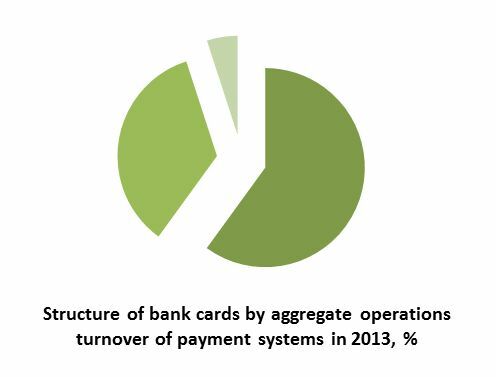 Number of operations with bank cards during 2008-2013 increased more than *** times. Compared to 2008 (*** mln operations), in 2011 number of operations increased almost twice (up to *** mln operations). Further growth was natural, and in 2013 the level of *** mln operations was reached. 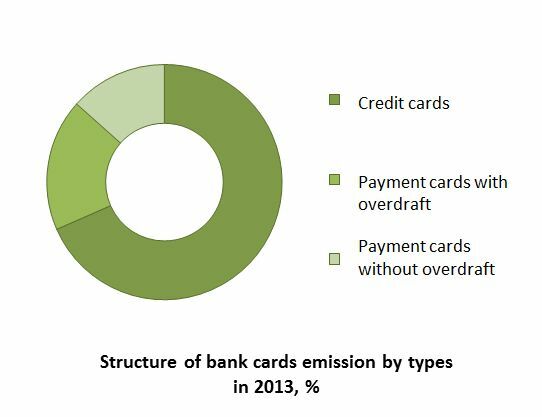 Among the largest regions by number of operations made with bank cards in 2013 the least increase was marked in St. Petersburg – 18,4% compared to 2012. The greatest growth was marked in Rostov Region – ***%. In remaining regions the increase of operations number compared to the previous year was equal to **%. 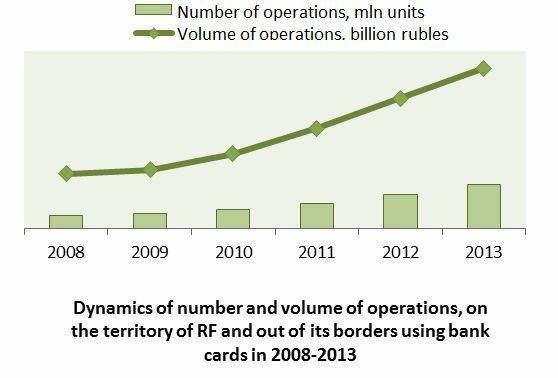 Structure of operations made on the territory of Russia, with use of payment cards changes significantly. Payment of goods and services by cash cards becomes more popular from year to year, payment on them happens even more often, and volume of payments by this payment method grows, and the average amount of operations decreases. Cash withdrawal, in turn, stops being an indispensable condition before any purchase. In 2013 about 95% of the Russian market was controlled by the international payment systems. Other payment systems had about 5% of operations volume. According to the Central Bank as of January 1, 2014, in Russia 641 credit organizations were engaged in issue and/or acquiring of plastic cards. Thus this parameter, unlike quantity of cards in circulation, did not grow, and, on the contrary, decreased a little from year to year. It is connected to toughening of requirements to banks from the state, in particular, to the increase in the minimum bank capital since January 1, 2012 to 180 mln rubles. Earlier the increase was marked in January, 2010 to 90 mln rubles, and the following mark -January, 2015 – to ** mln rubles. From 2007 to 2013 number of credit organizations in Russia decreased by 19%. 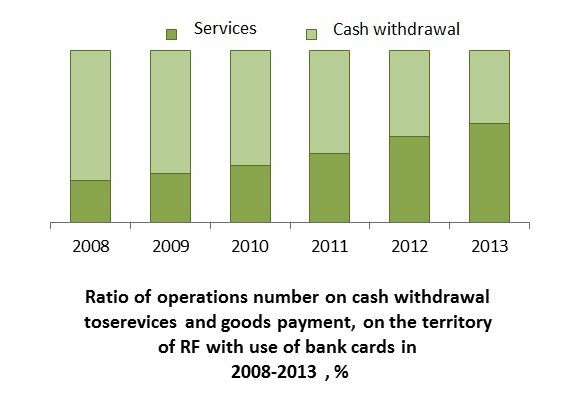 Number of banks, working with cash cards, during this period reduced by **%. 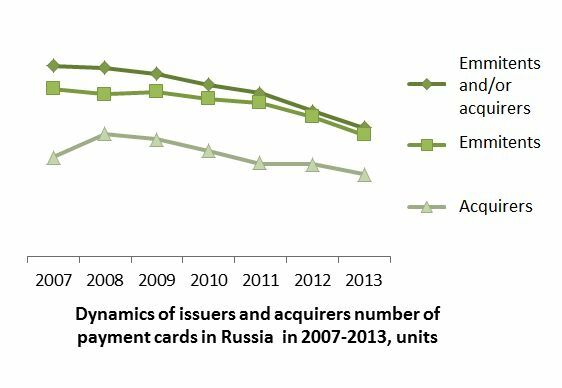 On the diagram the trend to decrease of total number of issuers and acquirers of payment cards in the Russian Federation is visually presented. Schedule 22. 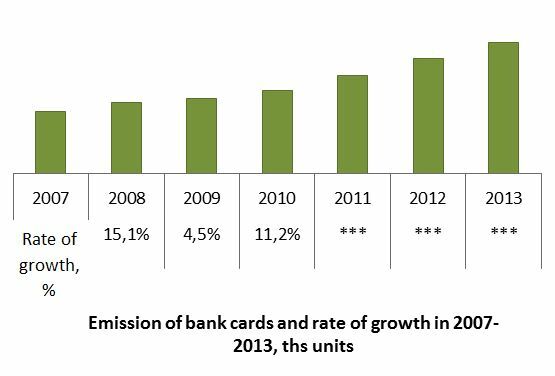 Emission of bank cards and rate of growth in 2007-2013, ths units. Table 6. Эмиссия банковских карт по видам в 2007- 2013 гг., тыс. ед. Diagram 37. Динамика въезда иностранных граждан в Россию в 2009-2013 гг., чел. Diagram 38. 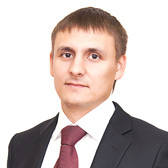 Динамика выезда российских граждан за рубеж в 2009-2013 гг., млн чел.